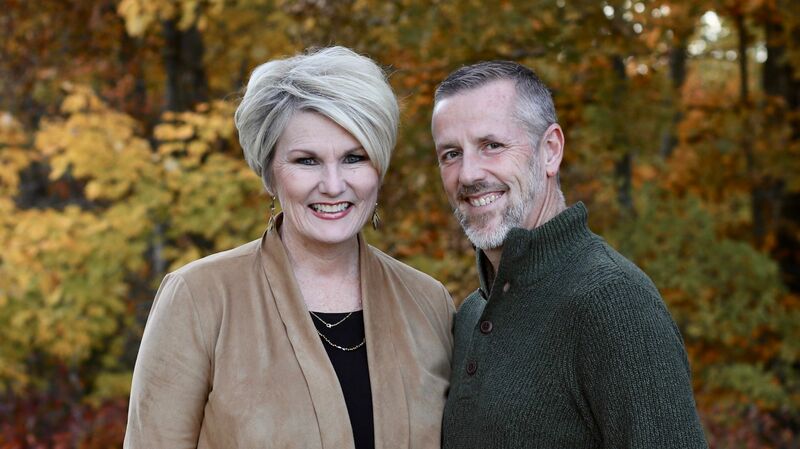 Be stretched by an interactive cross-cultural experience with veteran missionaries and Ethnos 360 mobilizers, Dave and Laura Percy. 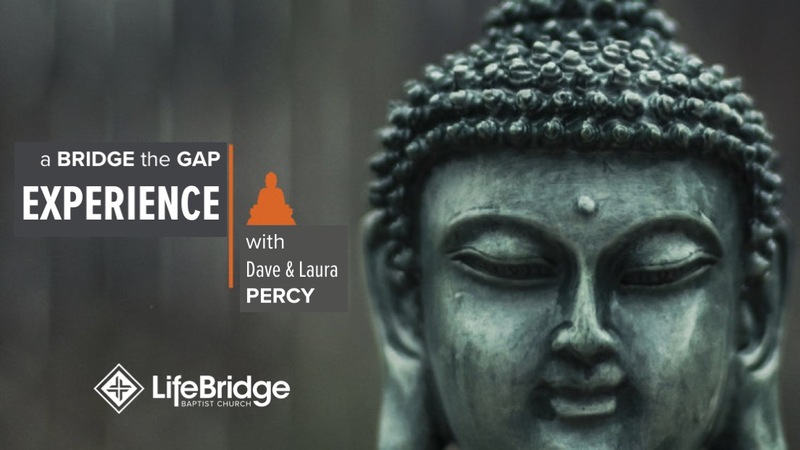 The Bridge the Gap Experience begins Friday evening with Into the Buddhist Mind. Experience a two-hour event designed to open your eyes on how Buddhism has shaped the minds of millions throughout South East Asia. Grapple with the challenges and obstacles one must face to clearly communicate a message of hope in a culture vastly different than our own. Dinner is part of this experience. Cost is $5.00 per person. Meet in the Student Life Center! Childcare (Nursery - 3rd grade) is provided for those who register. REGISTER HERE for the Friday Dinner ($5/per person) and Childcare by Sunday, March 3rd. The Bridge the Gap Experience continues Saturday morning with Religion < Christianity. Religion is less than Christianity and that makes all the difference in the world. This two-hour seminar will help you unpack gospel-centered principles that demonstrate the difference between religion and Christianity. Differences that can not only set you free but also send you out to reach the unreached across the street and around the world. This seminar is a practical follow-up to Into the Buddhist Mind but anyone will benefit even if they did not experience Into the Buddhist Mind. A continental breakfast is included. Childcare (Nursery - 3rd grade) is provided for those who register. REGISTER HERE for Saturday Childcare by Sunday, March 3rd. 10:45 AM | Four A’s You Don’t Want to Get! Sunday brings our Bridge the Gap Experience to a practical climax as we begin to put into practice what we have learned as we wrestle with cross-cultural case studies during the Discovery Hour in the Multipurpose Room. Don’t worry! You won’t be on your own or put on the spot. Instead you will enjoy being able to wrestle with these issues in groups of other learners. 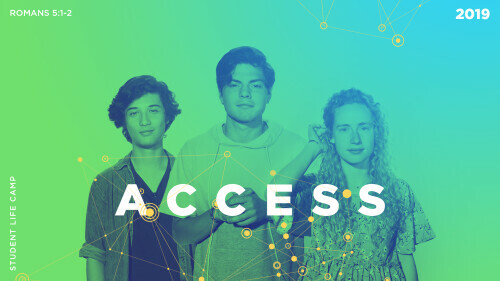 Then during the Worship Service, Dave Percy will climax the Bridge the Gap Experience with a fly-over of the Book of Jonah that will reveal the Four A’s You Don’t Want to Get! We are two ordinary people from very different backgrounds. Privileged to serve an extraordinary God, as an extension of a body, we continue to trust and follow His leading for our lives. We received cross-cultural training through Ethnos360, formerly known as New Tribes Mission. Thailand became “home” to us and our four kids. But more importantly it became a place of growth and refining. God used those years to burn in us a passion for the work still needed among our Buddhist and Hindu friends. After 14 years overseas, we experienced an unexpected change on this journey. God would bring us back to encourage, mobilize and equip the body of Christ. In 2011, we moved to our training center located Roach, MO to begin our new roles as mobilizers, teacher and mentors. Much of our time is spent on the road. We count it a privilege and honor to be used by Him. How insufficient words are to express our gratitude to the team who stands behind us. We are simply an extension of their hearts and passions. Dave is also an experienced instructor for Perspectives on the World Christian Movement, teaching Lessons 10, 11, 14, and 15.